One of our most elegant, highest value plaques yet. The laser engraved text and images come alive like no other plaque we’ve seen. 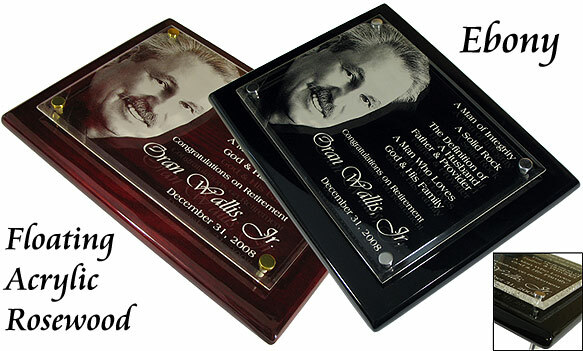 Perfect for memorial or dedication plaques. 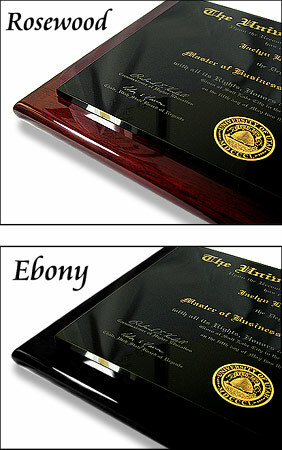 Each plaque comes with 1/4" clear acrylic that floats over a Piano Finish Rosewood or Ebony plaque of your choice. The top clear acrylic plate is laser engraved (Similar to frosted glass) which yields excellent detail and contrast against the piano finish backer. 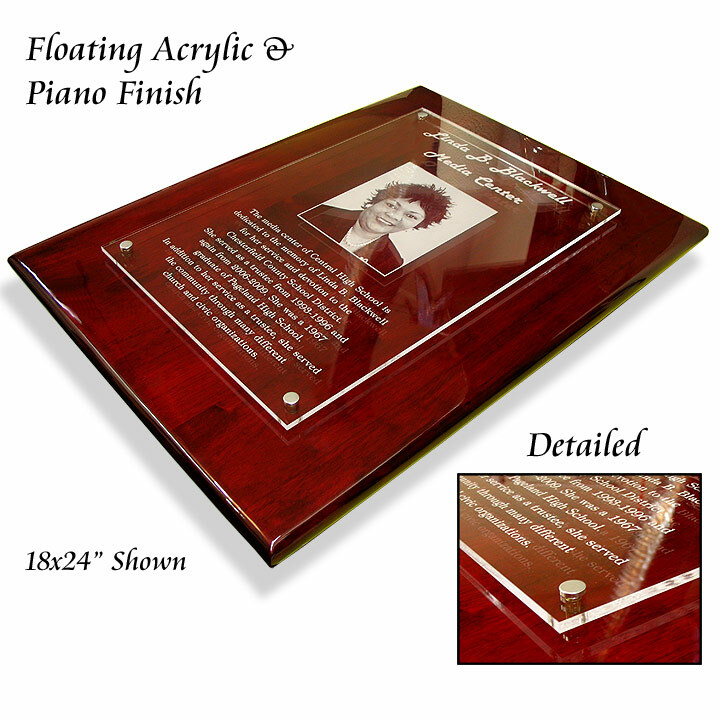 The 1/4" acrylic is raised above the surface of the piano finish plaque with elegant gold or silver hardware. These are truly high quality, high end gifts. Each piece is permanently laser engraved. Select from a variety of options including text, fonts and layouts all online. You gotta see this one! * Specifications: Top Piece (Floating Acrylic): 1/4 inch thick premium polished acrylic with bevel. Bottom Piece (Piano Finish Plaque): Attached piano finish plaques are high gloss and come with velvet black felt on back of added elegance. Hardware: Included Gold hardware for Rosewood selection & Silver hardware for Ebony selection. Display: Included keyhole slots for wall hanging. Also included are back props for table top display (8x10" & 9x12" only). All engraving and assembly are included. * Included with each order is photo dust & scratch removal, contrast adjustments, sizing and proof image. 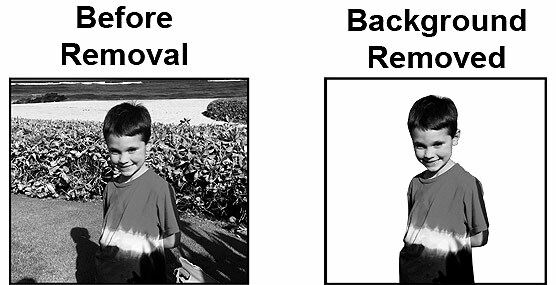 Image background removal option also available. Select ""Remove Background From Image" above to have our graphic artist remove the background from your image.